When I am counting calories, trying to save money, or a combination of both, I turn to sandwiches. Now sandwiches don’t have to be boring or plain- they can be pretty darn tasty and gourmet. Some of my favorite products to get gourmet flavor without paying gourmet prices are Kraft® Singles and OSCAR MAYER® Premium Deli Meat. Plus, you can get great deals on both of those products at Sam’s Club. Here’s my go to sandwich recipe that is tasty, comforting, and way less calories than eating a fast food burger. It’s super quick to whip up, too! Step 1: Spray/spread butter onto both sides of the bread. Heat a pan/skillet to medium/high heat. 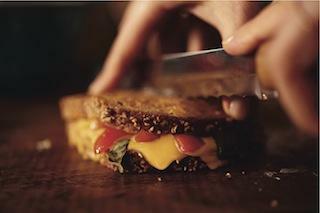 Step 2: Put a Kraft® Singles slice of cheese onto each slice of bread. Place turkey, bacon, and jalapenos between the 2 slices of bread. Place onto heated pan, and gently press down with a spatula. You should hear some light sizzling because of the butter. Step 3: After about 1-2 minutes, or when golden brown, flip the sandwich over to cook the other side. Place sandwich on plate and cut in half with a knife. I love to eat my grilled jalapeno turkey club with a side salad or chips. This is also a great sandwich to dip into some ranch– it helps cool off your mouth due to the jalapenos. And oddly enough, the flavor profiles also work well with BBQ sauce. With sandwiches, I love to get super creative and try unexpected combinations. 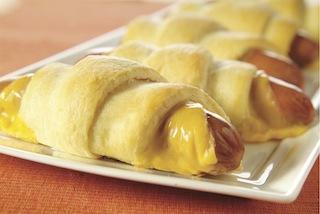 What are your favorite quick, easy sandwich ideas using Kraft® Singles and OSCAR MAYER® Premium Deli Meat? If you need ideas, make sure to visit the sandwich solutions website for simple recipes that can be made with items from your local Sam’s Club.